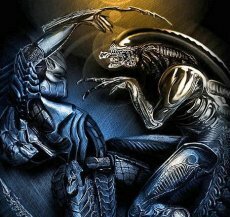 Famous franchises go on and Sega is not the company to go against the tide: a new Aliens vs. Predator (working title) game is in the making. At present time, Sega plans to release the new title in early 2010. Then again, the gaming indsutry is famous for its countless delays, so it’s rather safe to bet on an autumn release. Or just hold all bets until 2011. The game is currently in development at independent developer Rebellion, the creators of the original 1999 Aliens versus Predator. The company promised to unveil new data on the game in the near future.